A new message has appeared in-game in Fortnite: Battle Royale confirming the existence of sticky grenades, and they’re coming soon. 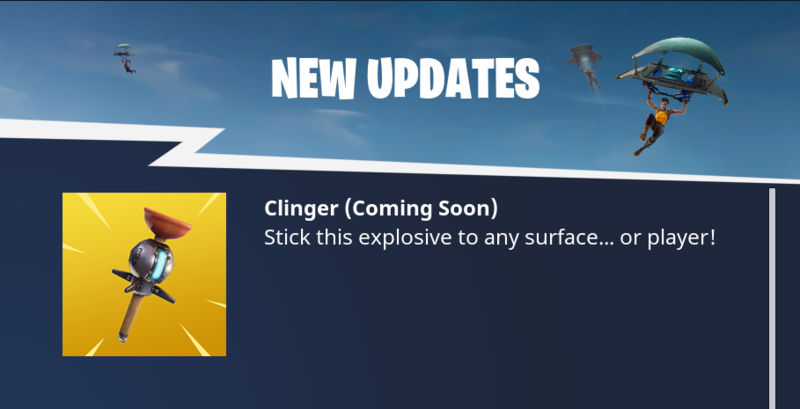 The “Clinger” is an explosive that will “stick to any surface…or player!” Its design makes it look like half grenade, half toilet plunger, in the typical cartoony style of the game. It’s unclear if it will be a throwable item, but it certainly seems that way. The Clinger will join recent additions like the light machine gun and Port-a-Fort, which have been added to the game over the past month. 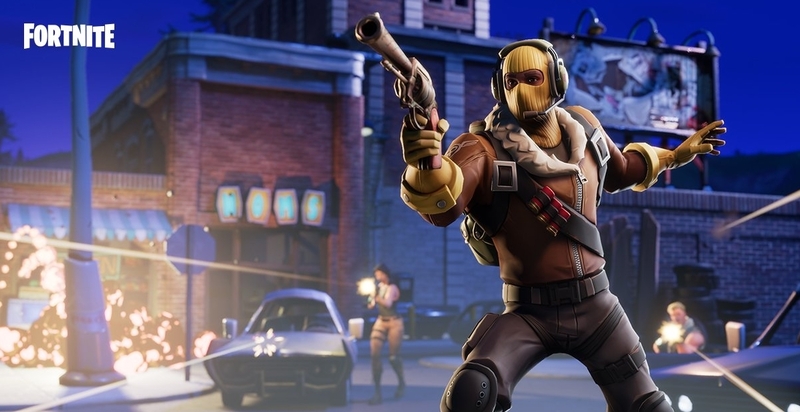 Epic Games has shown continuous support for the free-to-play title by adding features and updating the game nearly every week. This week’s update is version 3.6 and it will hit the servers early in the morning on Tuesday, April 24. The servers go down at 3am CT and the patch will be live whenever the servers come back up, usually within a few hours. It’s not confirmed if the Clinger will be part of the 3.6 patch, but it seems pretty likely. Later in the week, the final set of season three challenges will also go live. These will be the last chance for players to max out their Battle Pass before the season ends on April 30. Details on season four and beyond have not yet been released.